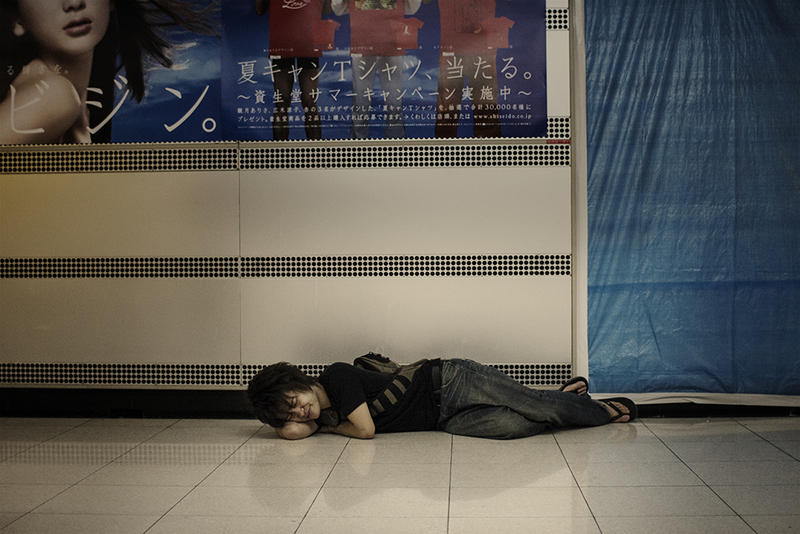 As part of a series of posts marking 1 year since I left Japan after my 10 stretch I am posting new photos from my most well-known photo series “Let the poets cry themselves to sleep”. 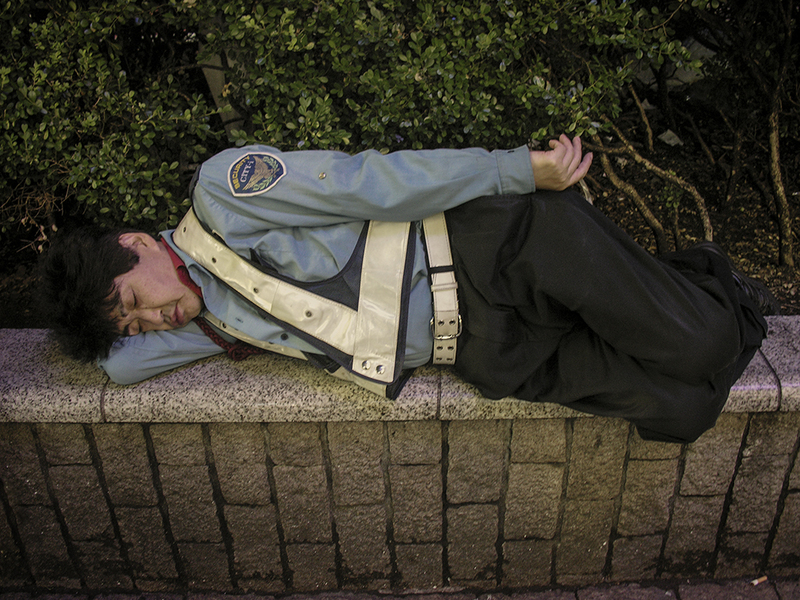 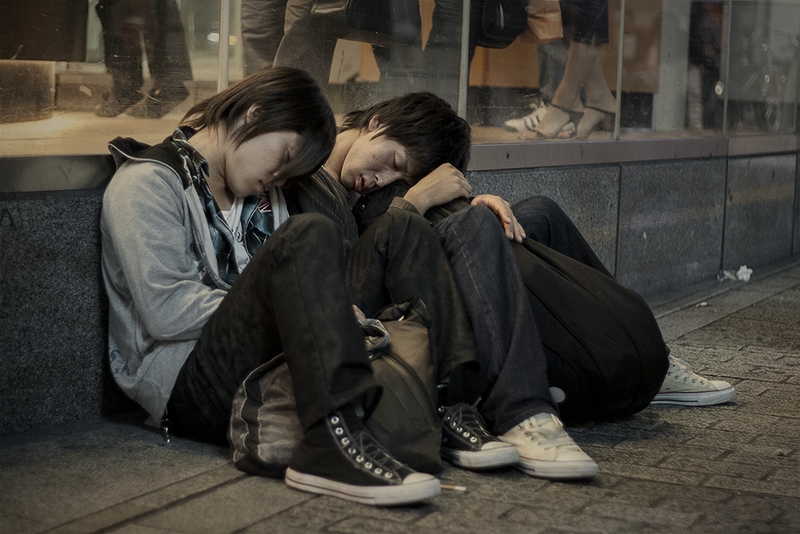 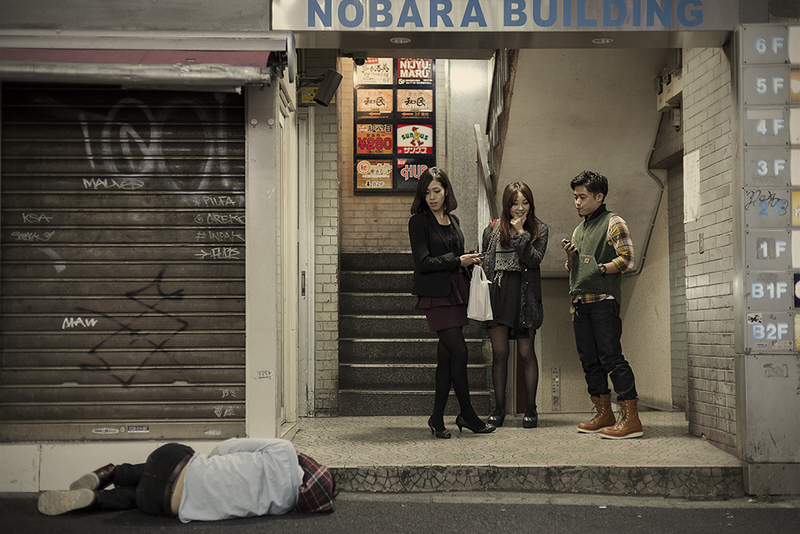 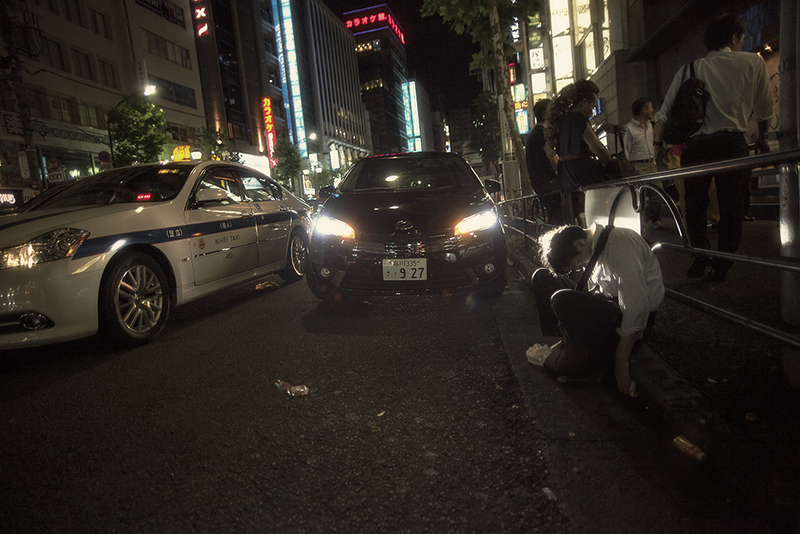 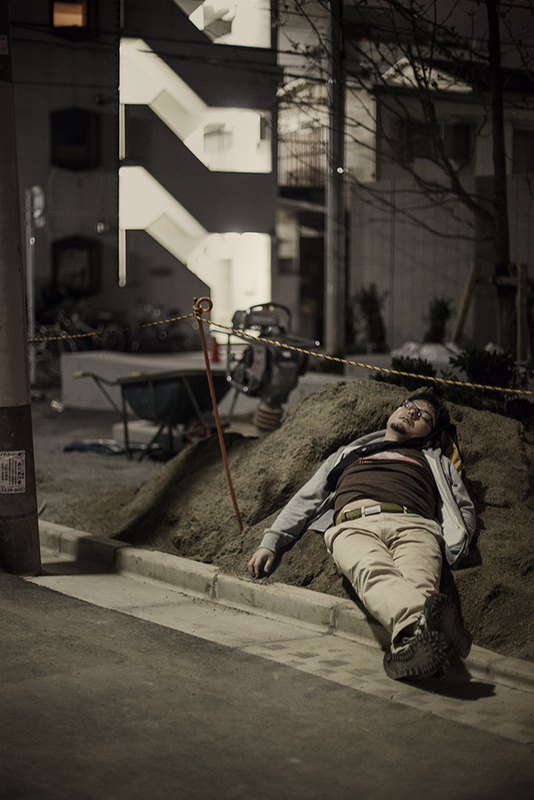 It wasn’t long after first arriving in Japan I started noticing people asleep on the streets. 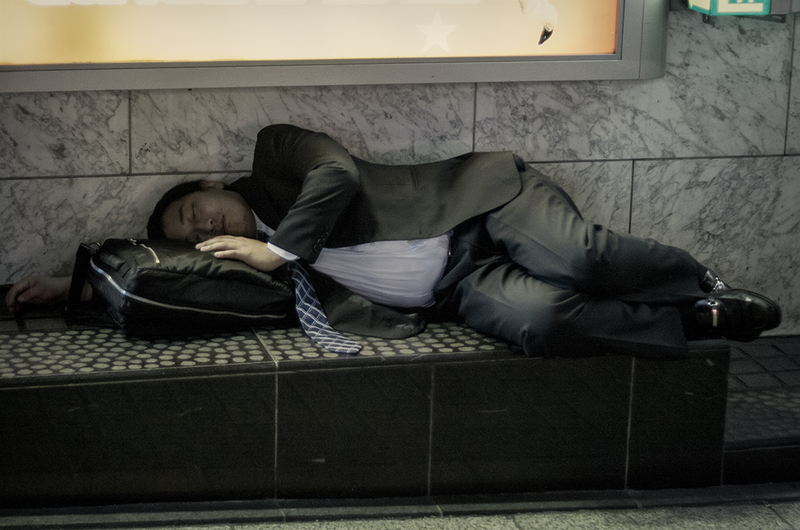 As an insomniac I have always been very interested in sleep and coming from a country where if you slept on the street you would likely wake up without your wallet and your shoes (and probably far worse), I was fascinated. 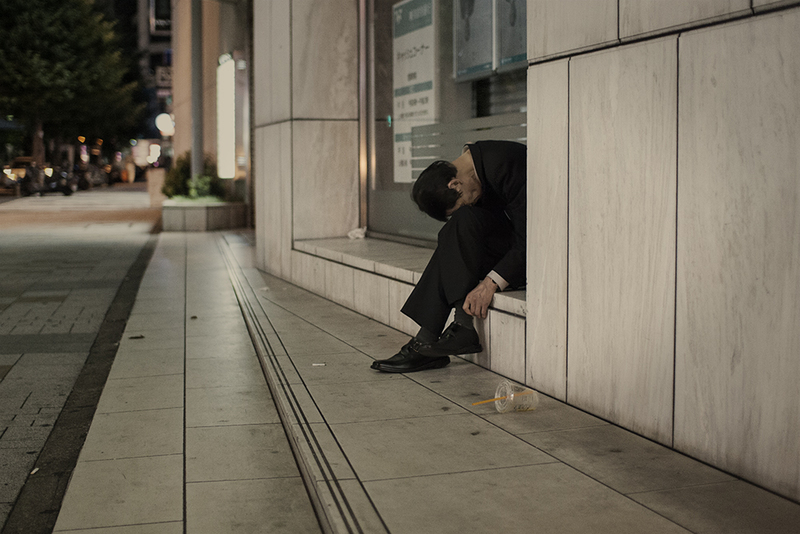 What started out as a very personal exploration of my own relationship with sleep turned into a commentary on overwork and alcohol abuse in Japanese society. 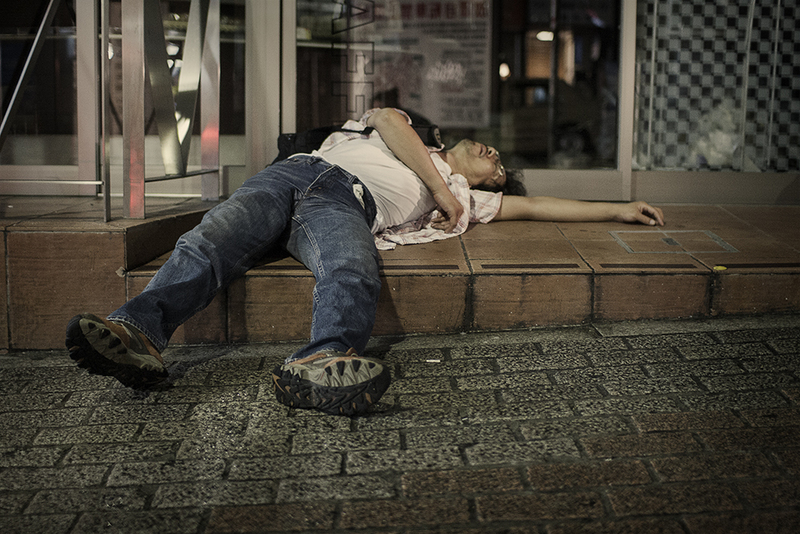 The full series can be viewed on my main site HERE and the 10 new, mostly never before seen photographs below….